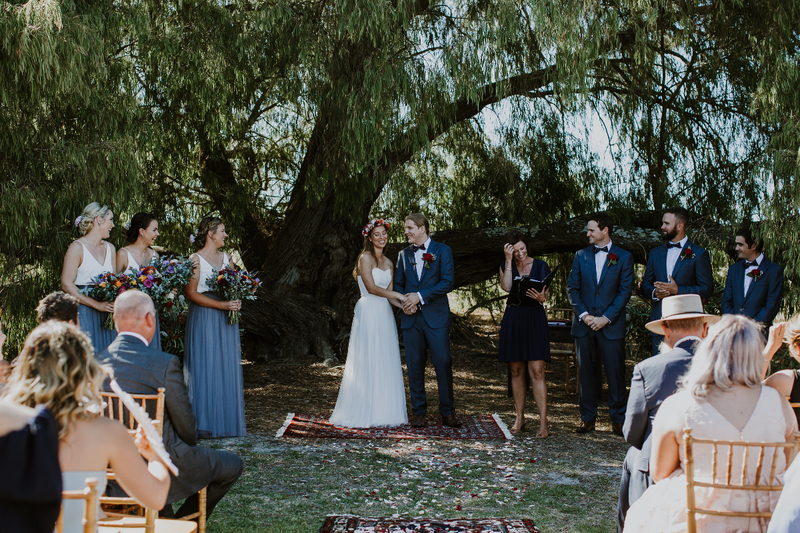 This wedding is an absolute cracker! 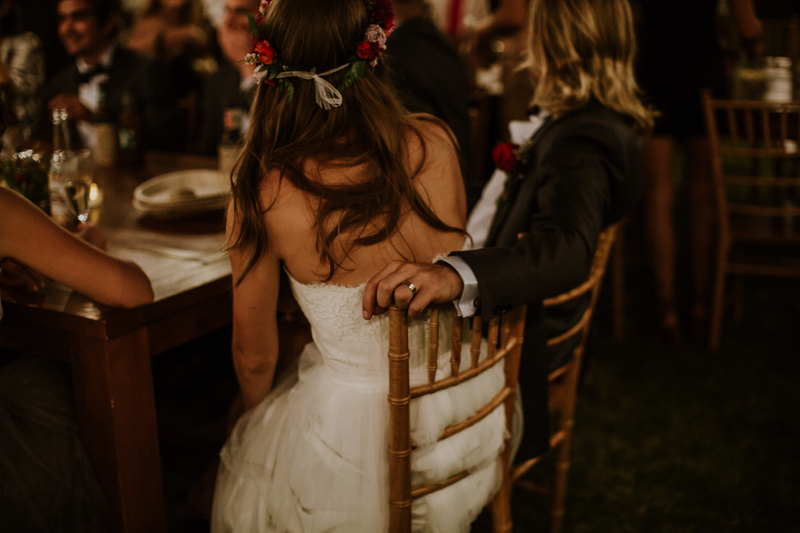 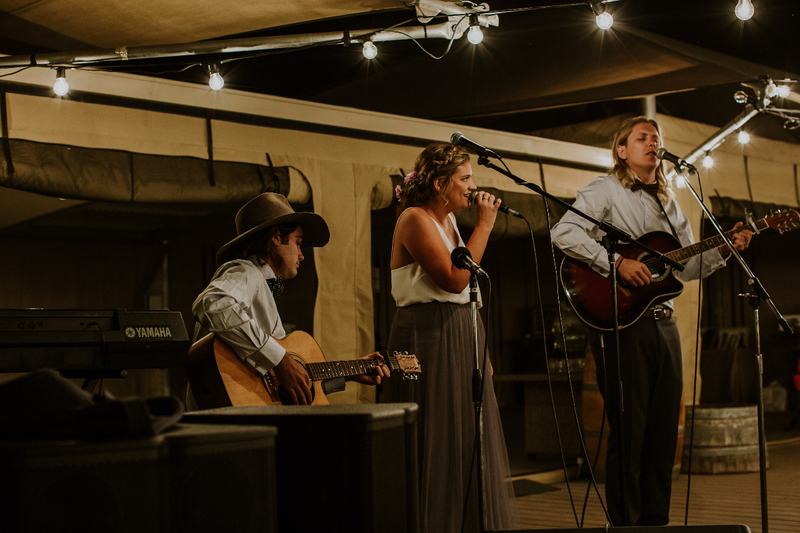 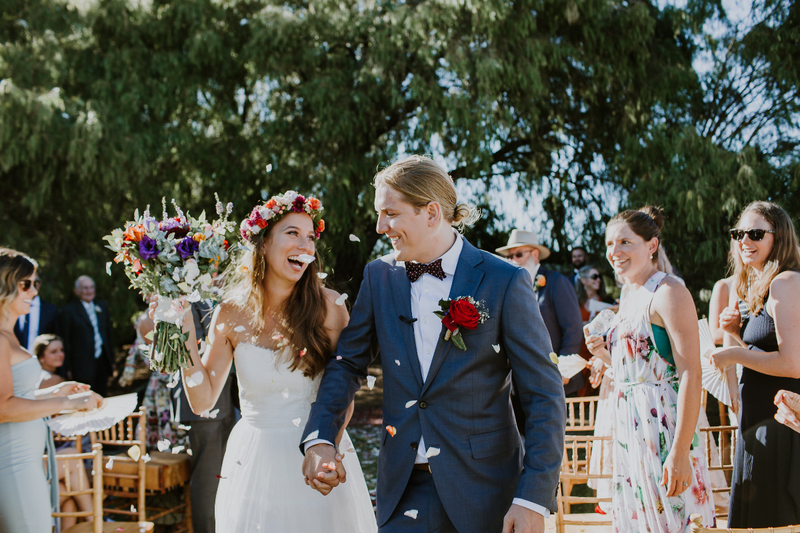 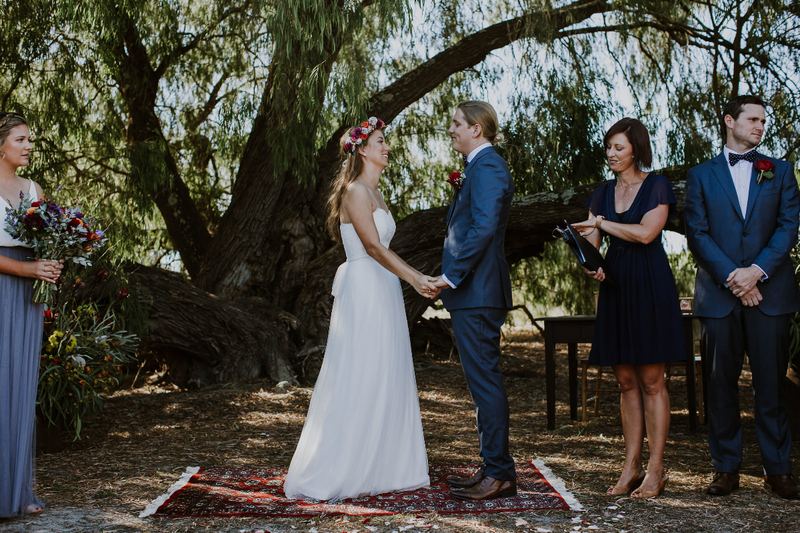 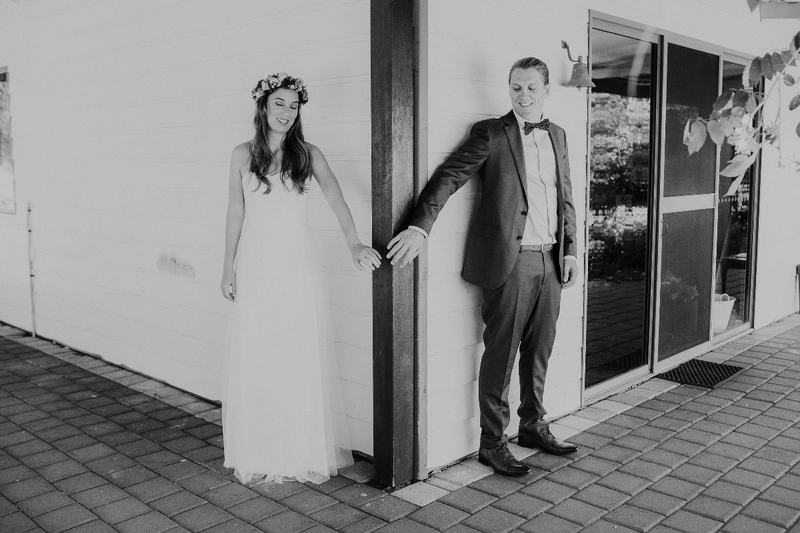 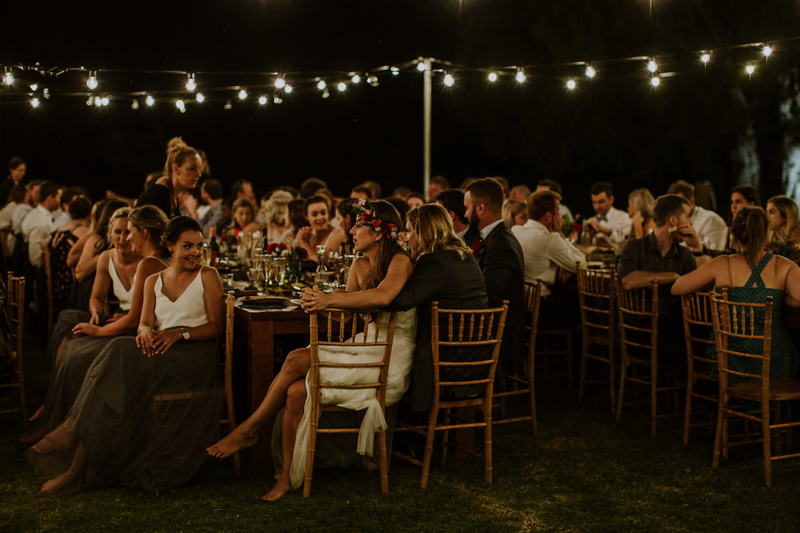 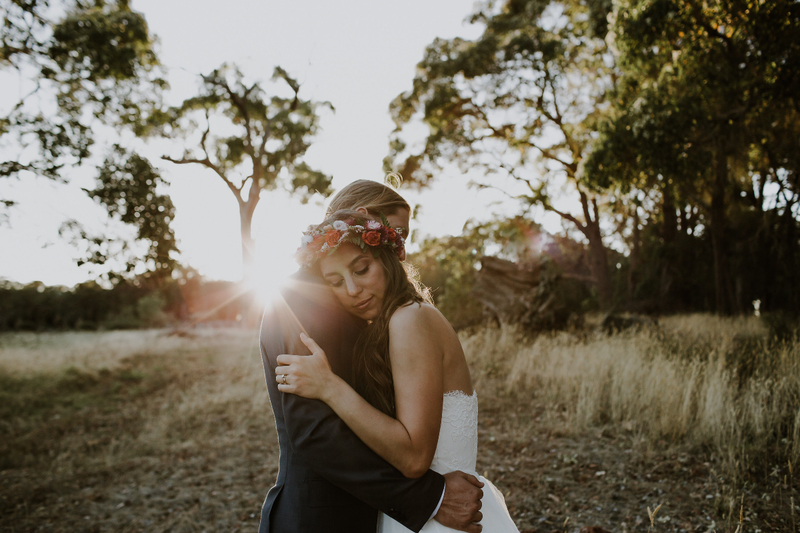 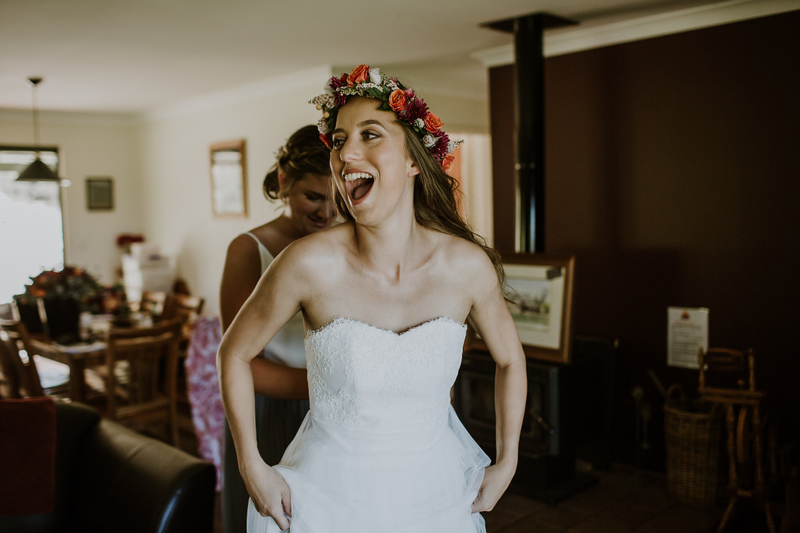 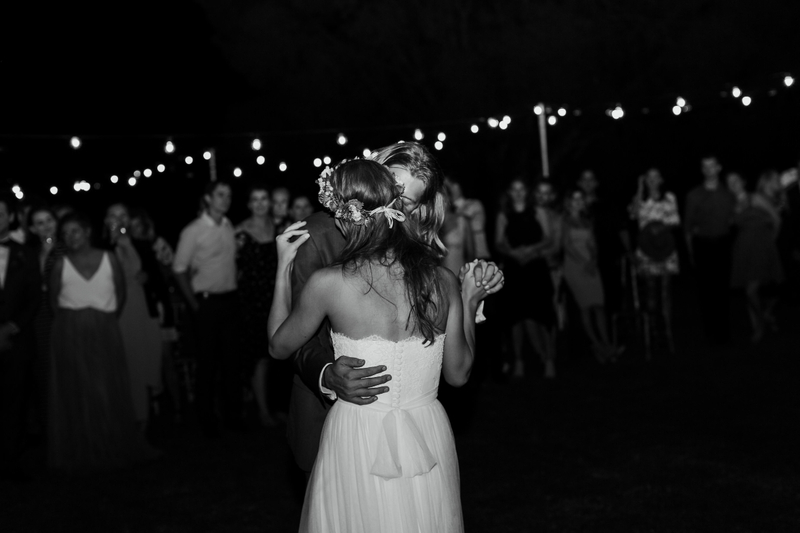 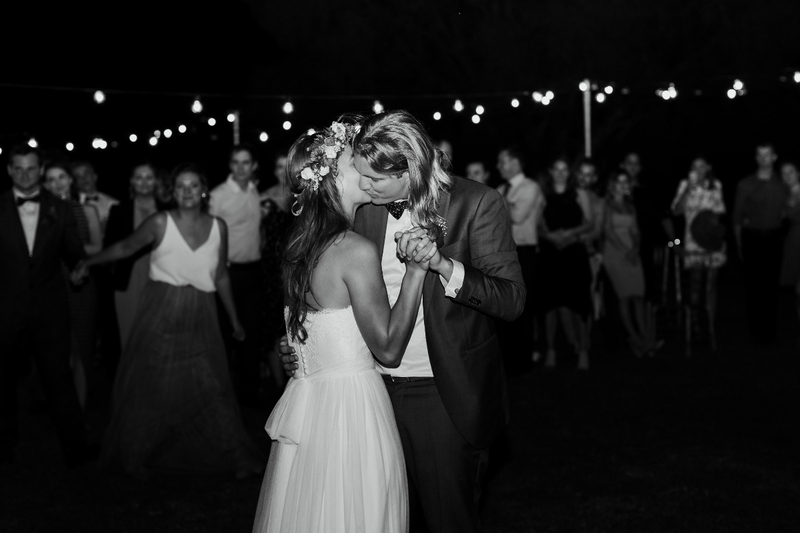 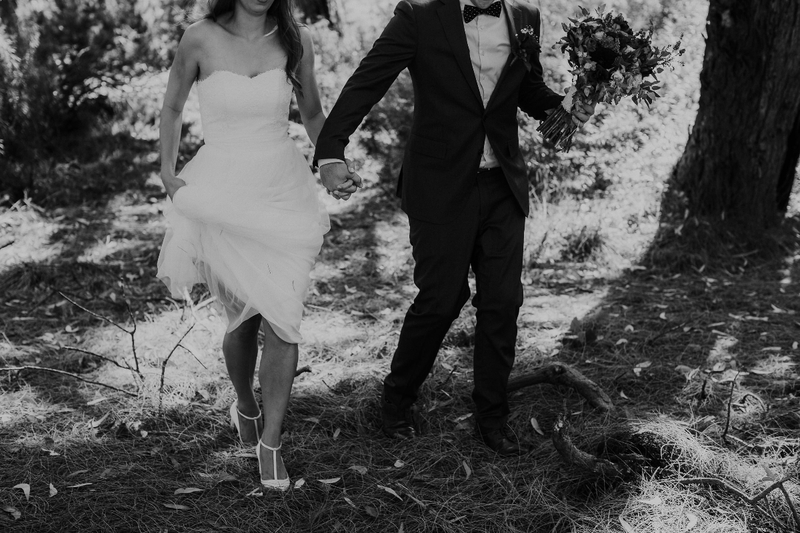 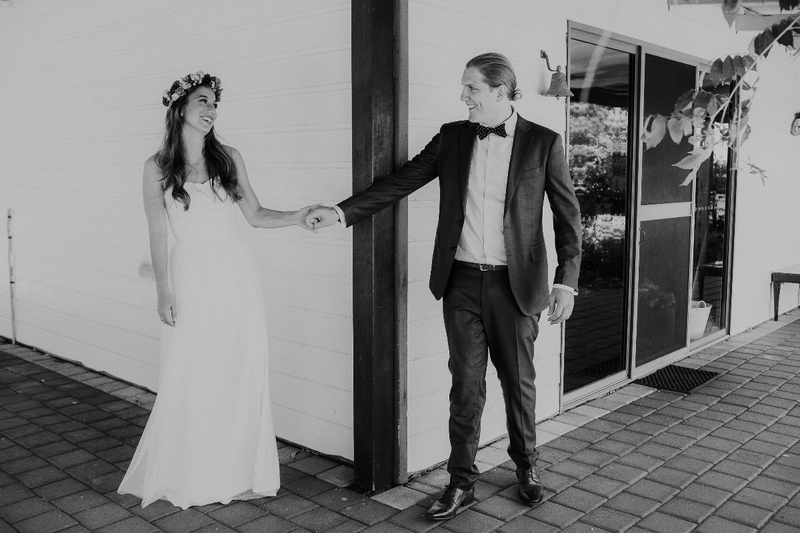 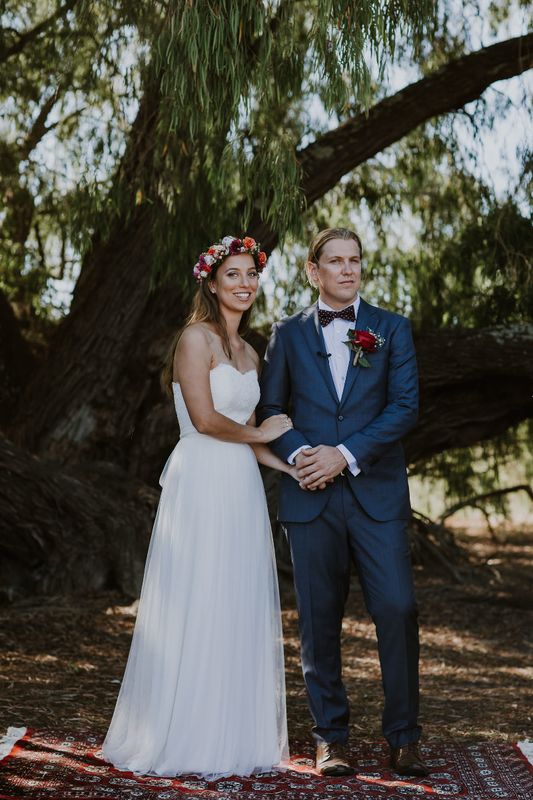 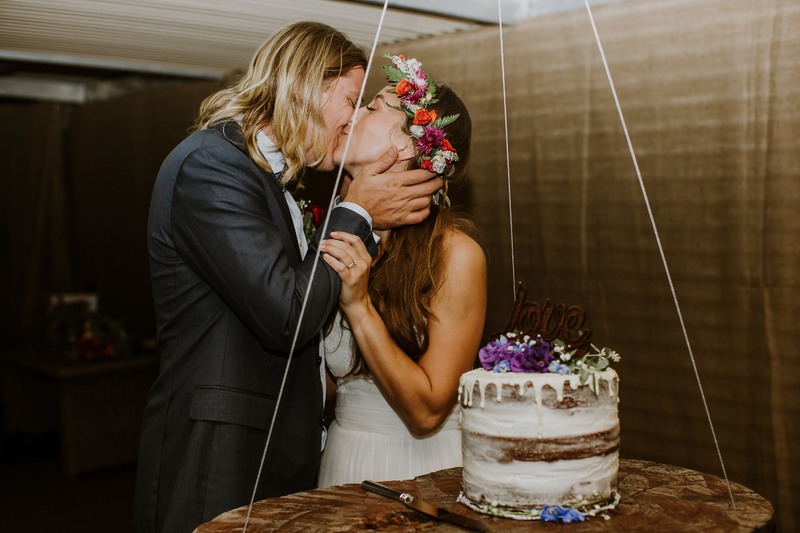 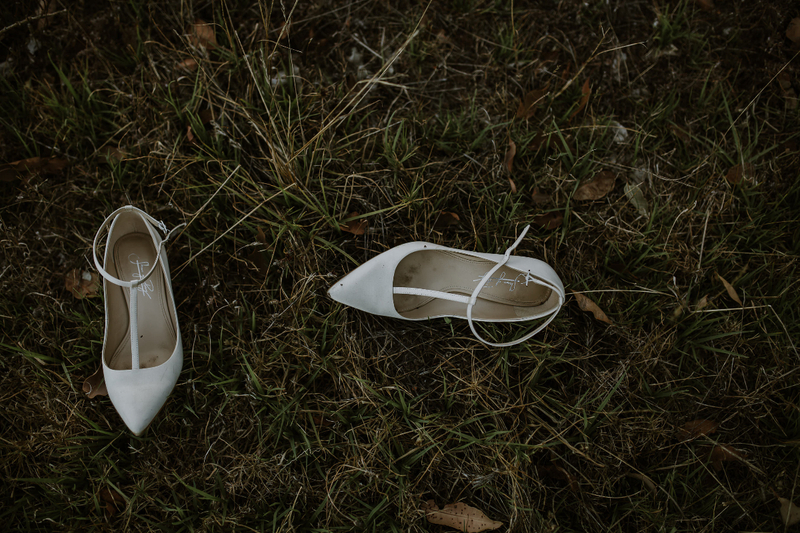 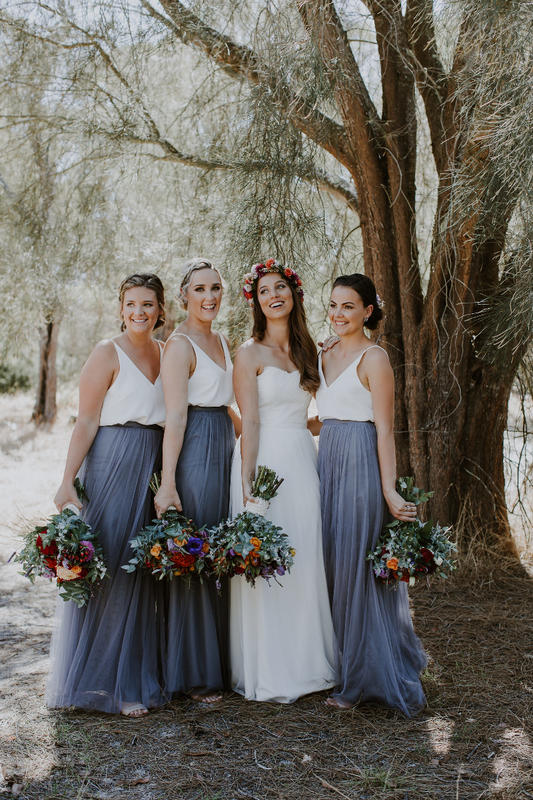 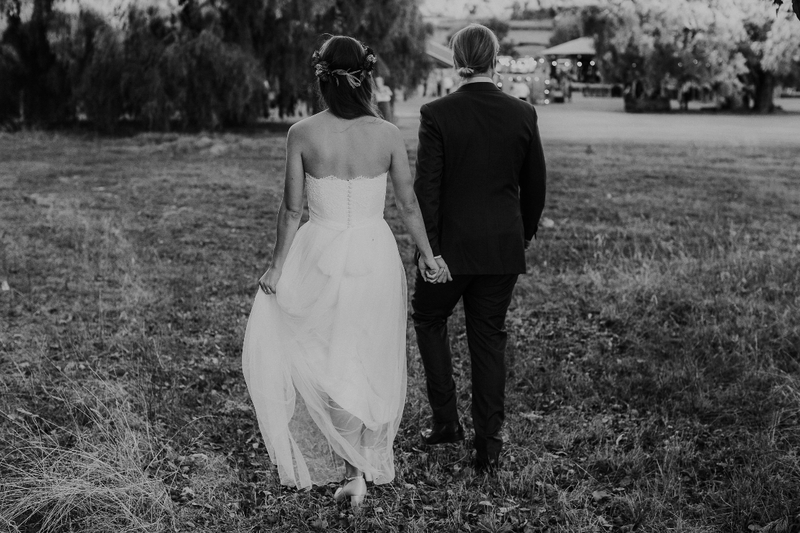 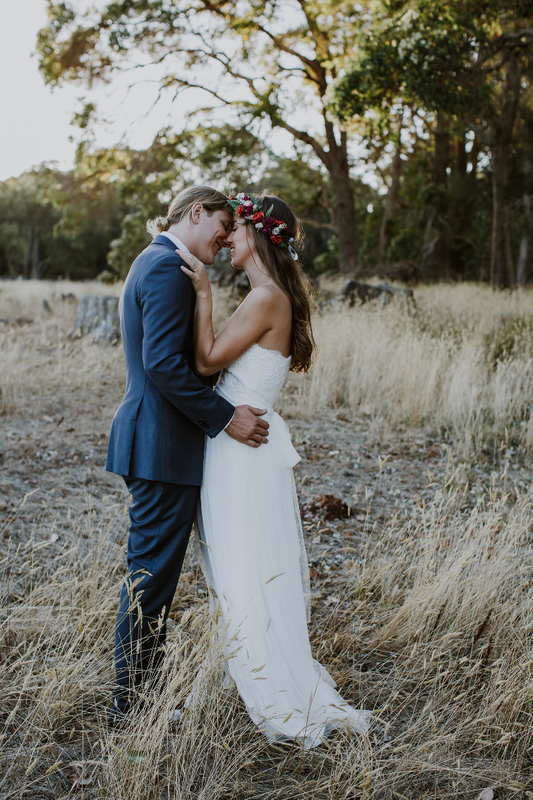 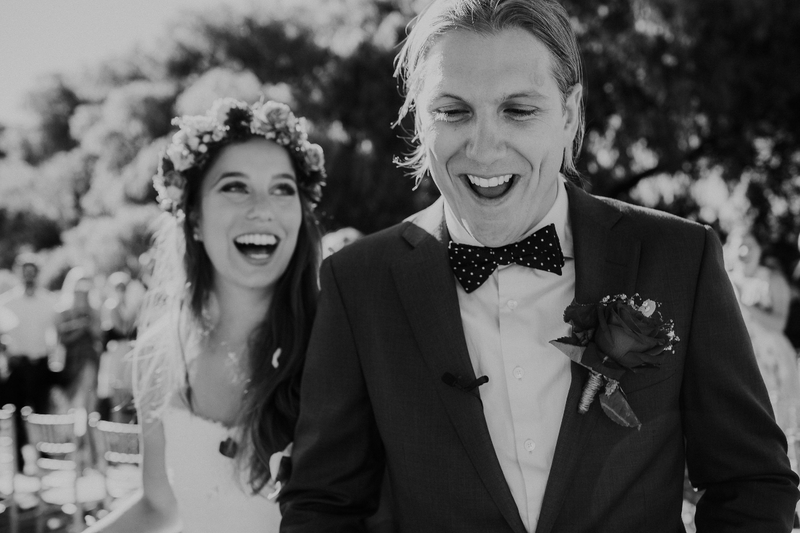 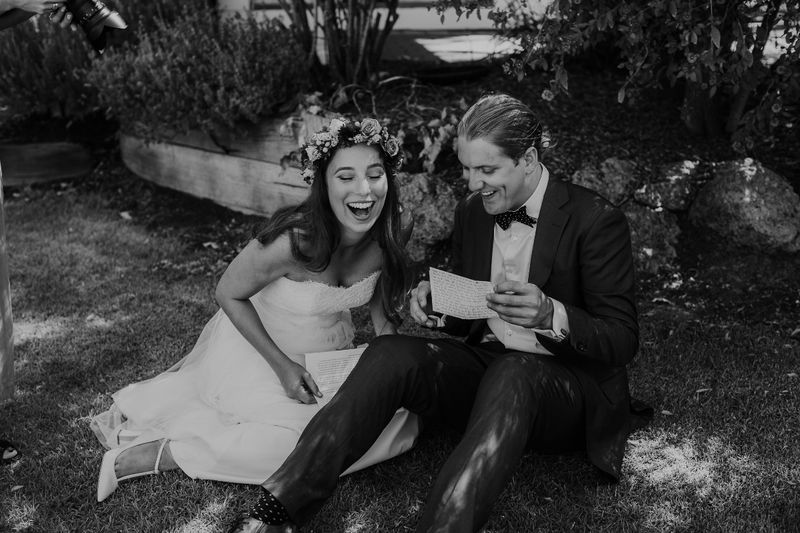 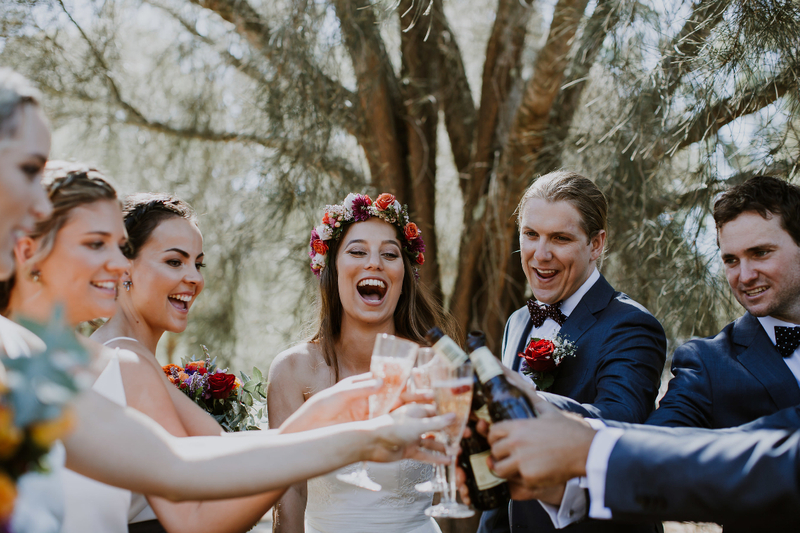 Amy and Cam planned a relaxed wedding at Silversprings Cottages in Margaret River complete with a first look, love notes, bush adventures and the groom serenading his wife before they hit the dance floor. 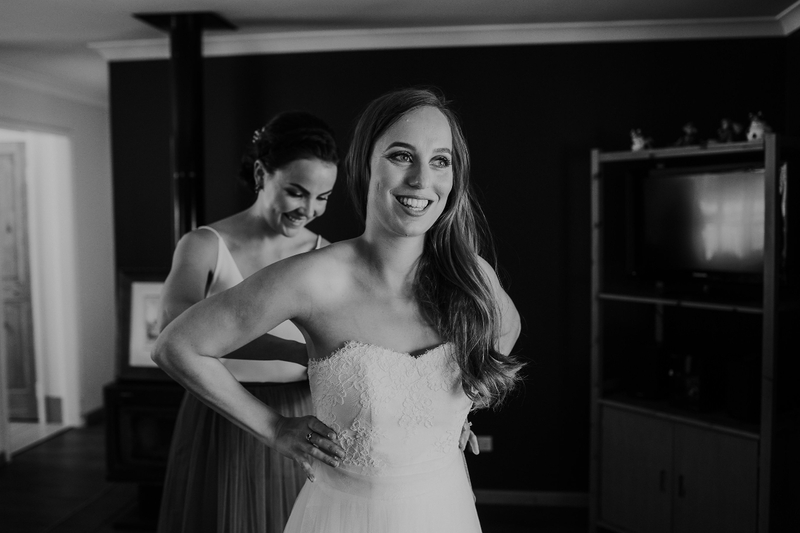 Amy enlisted our help to create a relaxed wedding dress that suited her figure but was similar to the number her Mum wore on her wedding day. 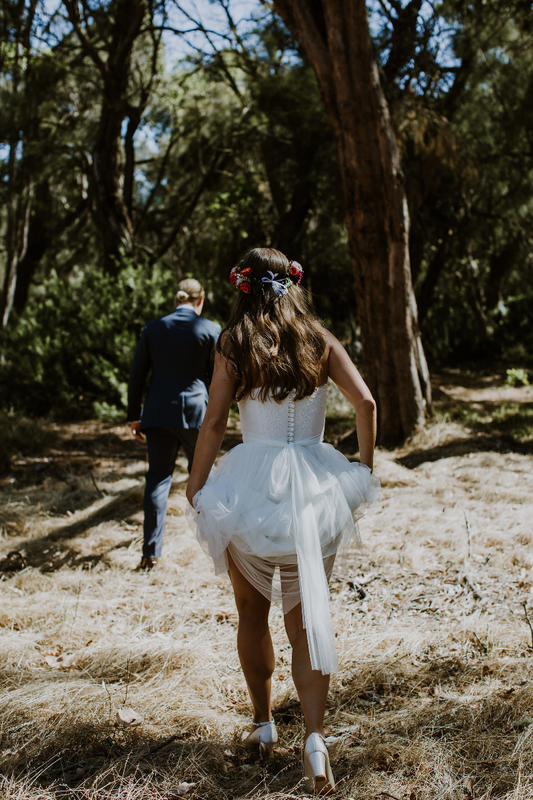 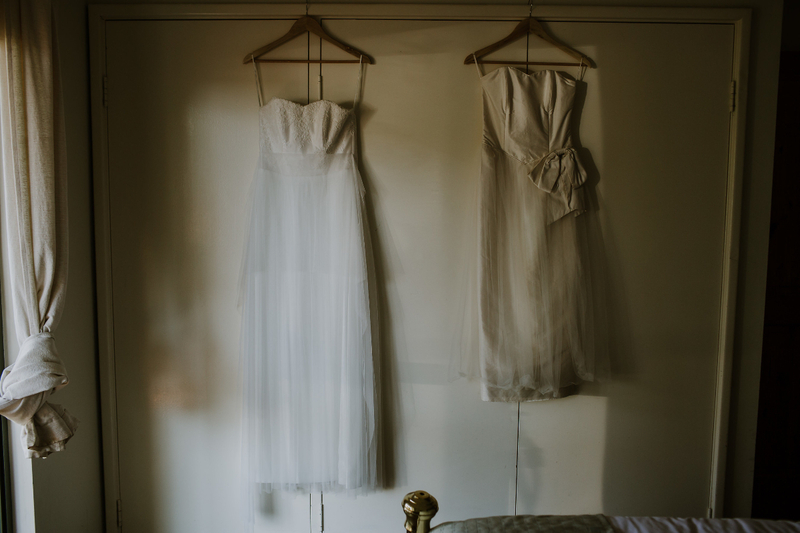 We created a fitted silk bodice with a soft lace overlay and then, going with the relaxed vibe, we went for a couple of layers of soft tulle over the skirt with a soft tulle bow. 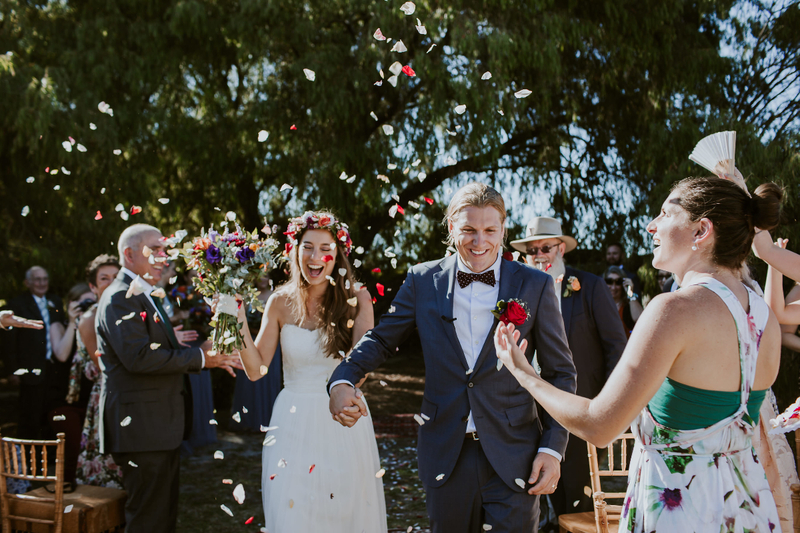 The end result was very feminine yet unfussy which was just perfect for our reluctant bride.